Well, hello there. A happy Monday to you! So I may be a bit weird, but guess what? I actually like Mondays. Mondays are all about fresh starts, no? Mondays are usually the day we promise ourselves to start that new diet, to stop procrastinating on that project or to just start a great new habit. 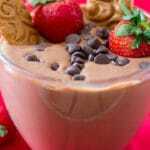 Well, I’m kinda here to distract you from that new diet, you’ve been thinking of starting today, because today I have for you a: Five Minute Nutella Cheesecake Dip!!! Yes, you read that right. 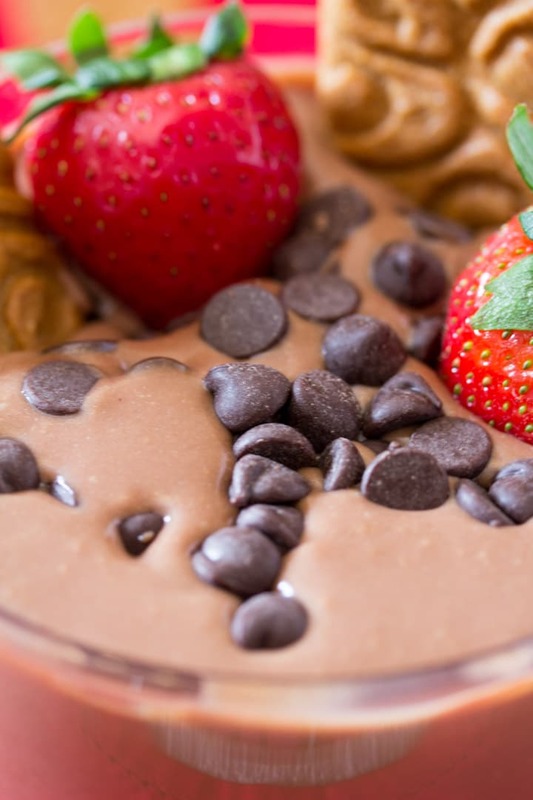 A cheesecake dip loaded with creamy, chocolatey Nutella which is ready in only five minutes! Woohoo! Which was basically inspired by this Creamy Peanut Butter Cheesecake Dip that I recently posted on the blog. You’ll read in that post how I always doubted the dessert dip, and then how I was converted into becoming an obsessed dessert dip maker. 1.) Easiest Dessert on Earth. 3.) Most Dipped into Dessert in the World. Lol. 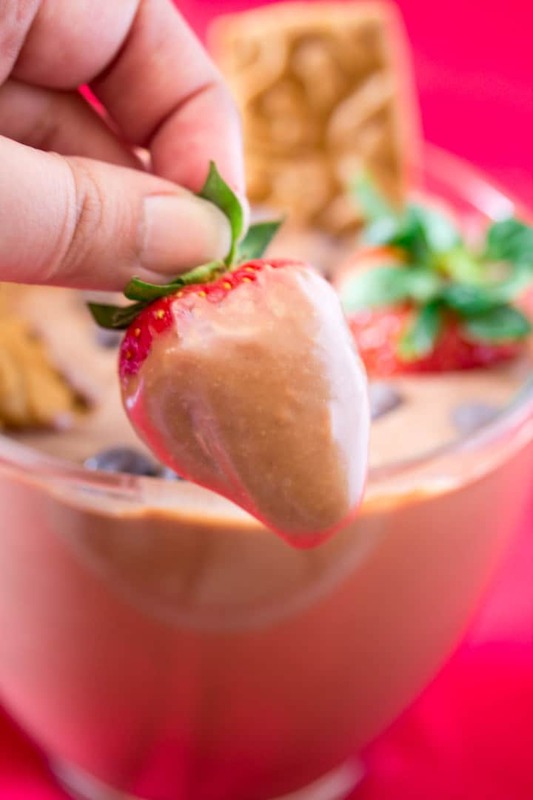 I’m just so happy over this dessert dip, because I just generally like making really easy recipes and this turned Five Minute Nutella Cheesecake Dip out to be super delicious. 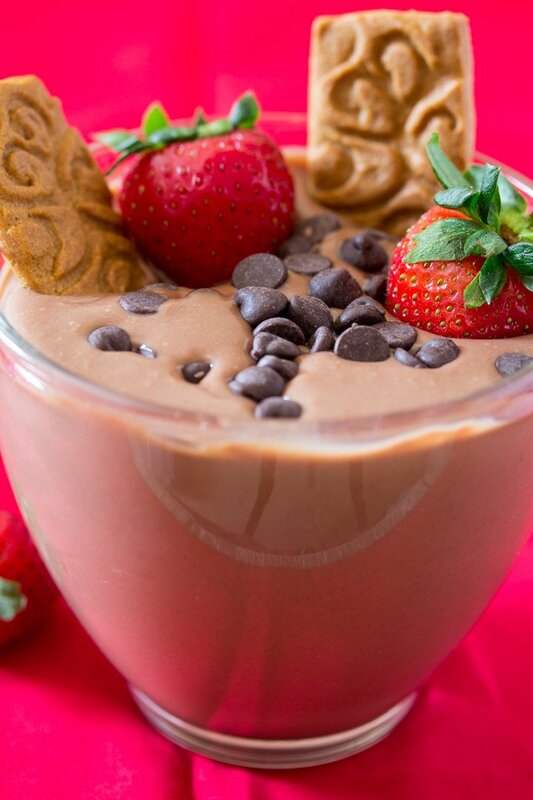 We loved dipping strawberries, speculoos cookies and marshmallows into this dip. And guess what? I even had a few sneaky bites straight from a spoon, because why not? And it was so delicious on its own too! Btw, have you tried speculoos cookies? They are SO good! Most of the recipes that I saw of dessert dips online, require an electric mixer. But I’m usually trying to avoid washing as minimum dishes as possible, so I skipped it here. Just make sure all your ingredients (except the heavy cream, that should be chilled) be at room temperature. That helps in easily whisking up the entire Nutella Cheesecake Dip by hand. You can of course use a hand mixer if you want, but I didn’t really feel the need to do so in this recipe. I do hope you try this Five Minute Nutella Cheesecake Dip because it is to die for. Oh and don’t forget to check out this gorgeous Raspberry White Chocolate Cheesecake Dip by my dear friend Shadi at Unicorns in the Kitchen! 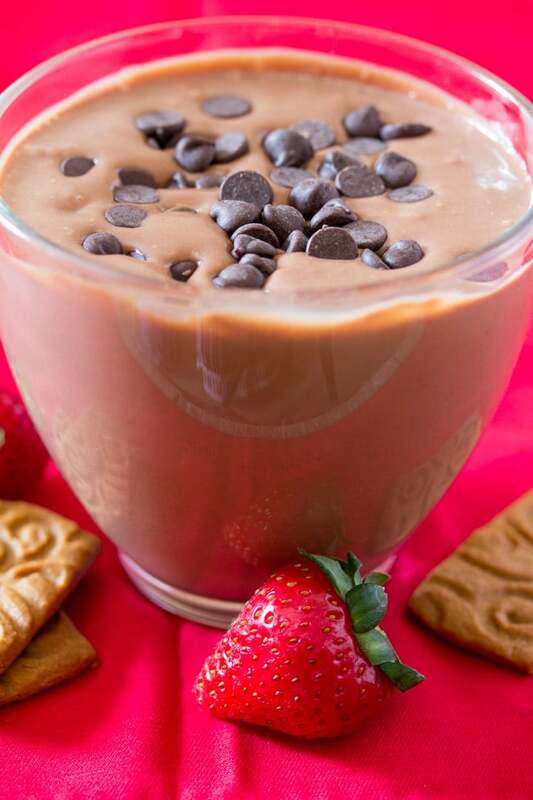 This Five Minute Nutella Cheesecake Dip is a perfectly creamy and indulgent dessert dip. This dip will be a hit at all your parties! In a mixing bowl, combine the cream cheese and powdered sugar and mix until full incorporated. Now add in the heavy cream, and whisk by hand (or electric mixer) until soft peaks form. Add in the Nutella, and mix well until fully combined. Chill in the refrigerator for at least 1 hour. Served with your choice of fruits, biscuits and/or marshmallows. Simple easy desserts are great quick treats for parties. All of these words make me happy. Also, 5 minutes? Yes please!